It may be peak holiday shopping season in New York City, but the game is far from over. Ivanka Trump - the lifestyle brand of the first daughter is officially open. While news of the brand's storefront on the famed New York landmark isn't exactly recent, Racked is reporting that the brick and mortar store has made its debut at Trump Tower where it joins tenants such as Gucci. This is really an exciting moment for the brand which has struggled in the past year, facing sizable headwinds from 2016's #GrabYourWallet campaign which encouraged millions of customers to rush retailers that carried Trump Brands. Nordstrom dropped the Ivanka Trump label, with other retailers such as Neiman Marcus, Burlington, and Belk following suit. Discounts retailers like T.J Maxx and Marshalls then instructed employees to remove the brand's signage from displays and mix her label's merchandise in with other labels. This later brings up a counter movement by Ivanka fans, who rallied around the #BuyIvanka social media campaign after Kellyanne Conway received criticism for promoting the line on TV. 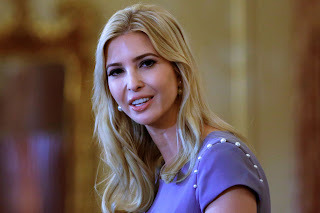 Shoppers of Ivanka label have always been able to pick up her products online and in department stores, this boutique marks the first standalone Ivanka Trump store where fans can buy all her designs, ranging from clothing and jewelry to handbags and footwear. Prior to today, the brand only had a jewelry boutique, which relocated from the Upper East Side to Soho in 2011 and subsequently shuttered its doors in 2015. While the brand continues on her name, Ivanka stepped down from her position as director of the label prior to assuming her role as an advisor to the President in an unofficial capacity.